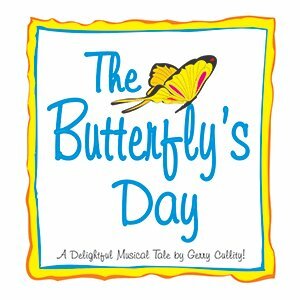 This Gerry Cullity original musical inspired by a late night radio program where a butterfly would live for only one day, imparts an inspiring magical garden tale about a Butterfly given one day to find its purpose and in the process overcomes the evil Gypsy Moth Queen and accomplices Sneaky, Sleazy, Slimy and Sluggy. Fighting the attempt to banish butterflies from nature forever, an endearing bevy of friends – from the spunky Katy-Did and Katy-Didn’t to the comical Bumble and Fumble Bees – come to the aid of our Butterfly. Among lessons learned is the value friendship, and that every promise made truly matters.